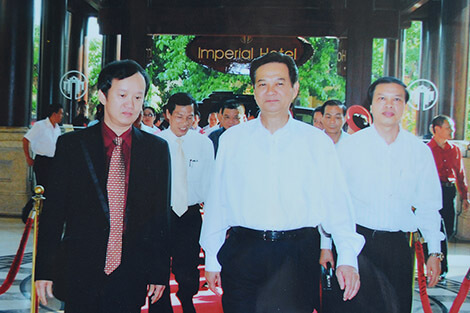 Welcome Prime Minister Nguyễn Xuân Phúc Imperial Hotel is honored to welcome Prime Minister Nguyễn Xuân Phúc (04/2017). 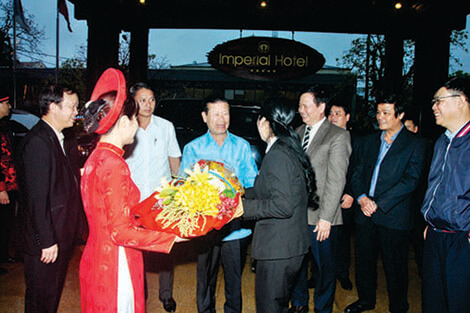 Welcome Deputy PM Somsavat Lengsavad Imperial Hotel is honored to welcome Laos Deputy PM Somsavat Lengsavad (04/2016). 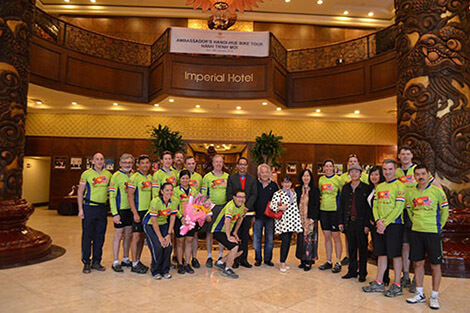 Welcome US Ambassador Ted Osius Imperial Hotel is honored to welcome US Ambassador Ted Osius and the bicycle tour "US - Viet Nam: A New Journey" (01/2016). 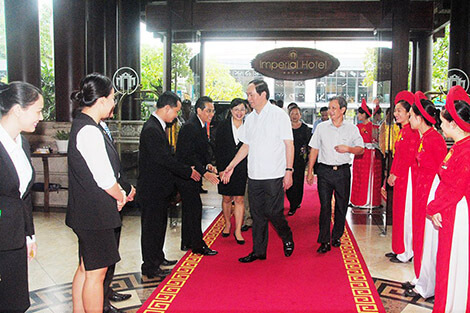 Welcome President Trần Đại Quang Imperial Hotel is honored to welcome President Trần Đại Quang (10/2015). 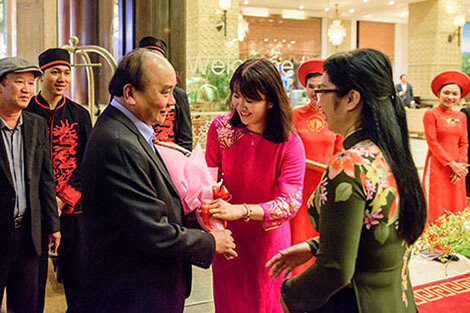 Welcome Prime Minister Nguyễn Tấn Dũng Imperial Hotel is honored to welcome Prime Minister Nguyễn Tấn Dũng (2014). Welcome Crown Prince Naruhito of Japan Imperial Hotel is honored to welcome Crown Prince Naruhito of Japan (02/2009). 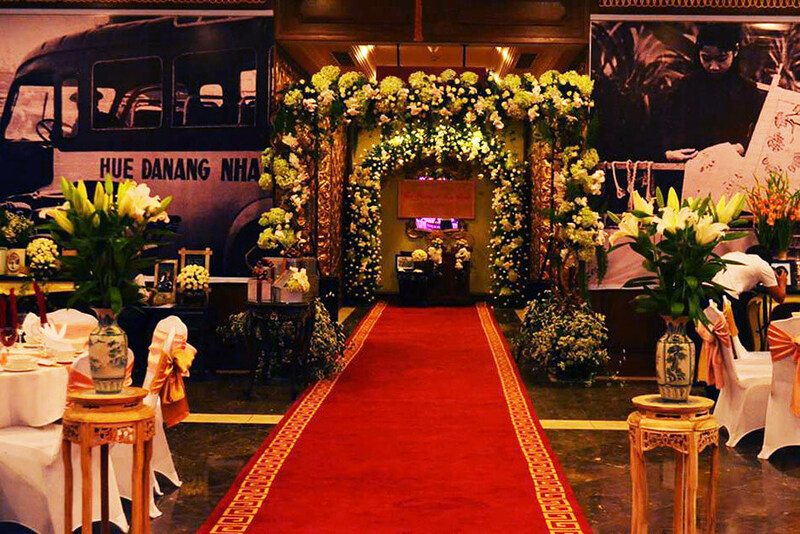 Seminars Room : Royal room (1st floor) With a total area of 325 m2 and a capacity of 400 guests, the Royal room is suitable for organizing large events and weddings. 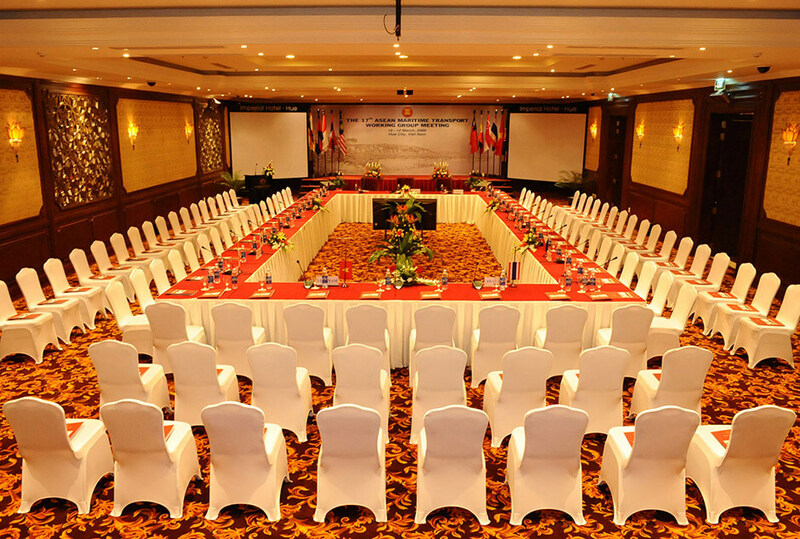 International Conferences Room : Grand Ball room (2nd floor) With a total area of 325 m2 and a capacity of 450 guests, the Grand Ball room is suitable for organizing large events and weddings. 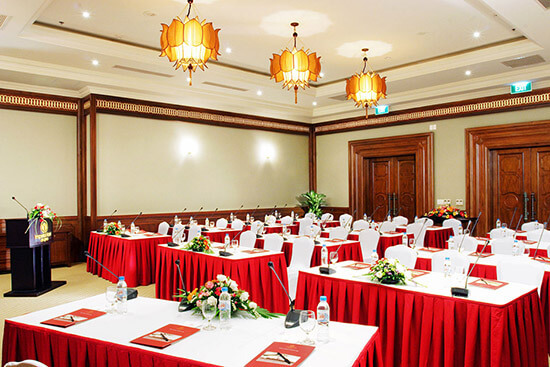 Domestic conferences Room : Meeting room (2nd floor) With a total area of 90 m2 and a capacity of 70 guests, the Meeting room is suitable for small & medium-sized events. 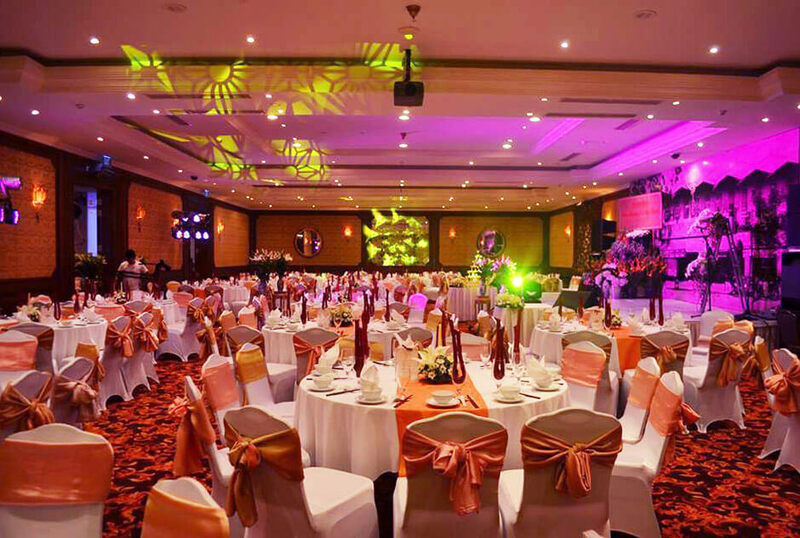 Weddings Room : Grand Ball With a total area of 325 m2 and a capacity of of 450 guests, Grand Ball room is the ideal place to hold luxury weddings. 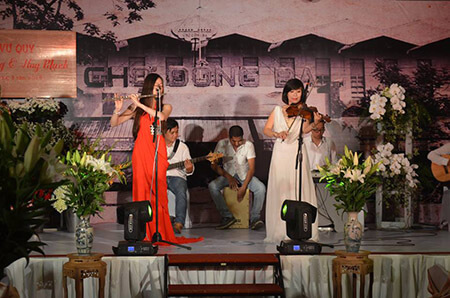 Meeting rooms and halls were elegantly-designed with a full array of the latest audio, visual, translation, and lighting equipment according to 5-star international standards, meeting the requirements for domestic and international conferences and meetings. Specialized equipment includes: HD overhead projector, 50-microphone sound systems, individual headsets, 04 parallel translation channels. 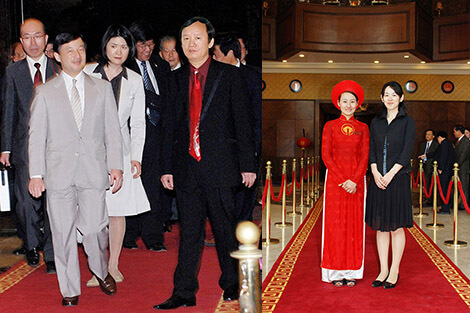 Grand Ball is the largest hall of Imperial Hotel. The conference hall is used for large domestic & international conferences and seminars (up to 450 guests) and luxury weddings. 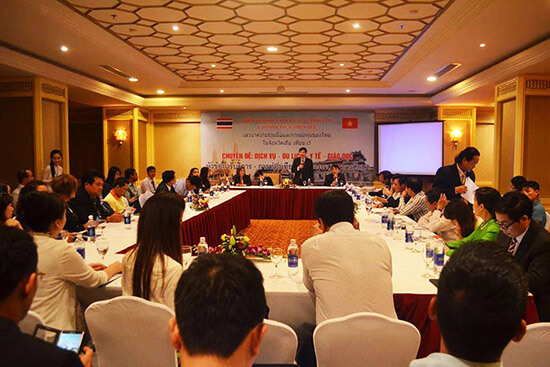 Companies that regularly hold conferences & meetings with us include DKSH Vietnam, Pfizer, Bayer Vietnam Ltd, Gazefi, Abbott, Saigontourist, VNC Conference, Merck group, Vietravel, Astrazeneca, etc. The Meeting Room is suitable for holding small and medium domestic & international conferences and seminars (up to 70 guests). The 02 Junior Meeting Rooms are suitable for smaller meetings (up to 30 guests).